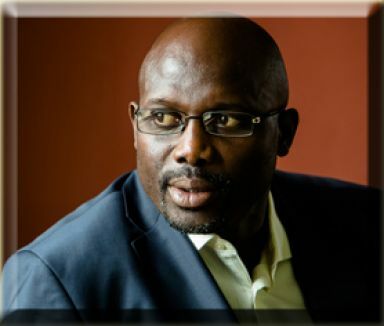 The current debate in Liberia is centered on two loans that the infant administration of President George M. Weah has entered with certain private entities to undertake the construction of roads in the Southeast and in Eastern Liberia. Anyone who spent 16 hours to cover a rocky 500 kilometers – as I did a few times this year – will wholeheartedly welcome any alternative. A drive on the bush road from Buchanan in Bassa County to Pleebo in Maryland is akin to a trip into the abyss of time past. For people in that region, the prospect of a modern road that would link them to the rest of the country, trumps any other consideration. People have raised concerns that should help the Administration to provide appropriate answers to clear the air. The loans are the largest any government has ever taken in Liberia’s history. The magnitude of the amount is unsettling to many. This uneasiness is understandable in a country that has been lived on hand-outs and humanitarian aid for decades. There is no doubt about the prerogative of President Weah to raise funds to implement his development agenda. However, in an age of global threats posed by drug and money laundering, human trafficking and terrorism funding, these are legitimate concerns, especially when dealing with people so far unknown to Liberians on behalf of who the money is being borrowed. Unfortunately, the debate has escalated and wild political rhetoric. Modernity begins with transportation and electricity. These are the two greatest challenges facing Liberia. According to estimates, it will take billions of dollars to connect Liberia to the 21st Century or even to the 20th century for that matter. The money required will never come through aid. The highest aid Liberia has ever received was the US grant through the MCC of $260 million dollars for the Mount Coffee rehabilitation project. Ten million today, twenty million tomorrow and sporadic budget support do not fund development. To finance its infrastructure, Liberia will have to do exactly what other countries did: get capital. Almost every government in the world currently runs deficit amounting to many folds of their budget. The IMF-World Bank’s intervention was crucial in effacing the excruciating debt Liberia was crumbling under. The $4 billion dollars forgiven was mostly an accumulation of interest on bad loans, that went from less than $1 billion under the Interim Government in the 1990s to four billion by the end of the transition in 2005. Since the eradication of that debt, billions have poured in in aid and for emergency issues such as Ebola. The UN system, the World Bank, and the IMF were helpful in guiding Liberia’s recovery process. Now, the country is entering another stage and must find new solutions for the emerging and structural priorities. Cote d’Ivoire is often a reference of what can be achieved by a visionary leader in one generation. The late Ivorian President Houphouet-Boigny is known to never be shy in borrowing: money, talent, and creativity, he took them wherever he could find them and made them work for his vision. This took Cote d’Ivoire from being the less-developed francophone country in 1960 to become the economic engine of an entire region. The country is now heavily indebted but continues to enjoy the confidence of lenders, be it the World Bank who just poured close to a billion dollars in cocoa development to the Chinese who invested more than a billion in rural energy and banks who invested both in the private and the public sectors or the US providing some $780 million on the MCA account. The economic infrastructure laid by Houphouet-Boigny evolved on two prongs: infrastructure (electricity, roads) and agriculture, both capital intensive. Strategy, discipline, and patriotism served as the thread that kept everything in sync. One could ask, if under different global financial system, Liberia could have done better if it were able to borrow $4 billion dollars in 2006 to invest in infrastructure, agriculture and private sector rather than receive debt forgiveness. To develop its potentials, Liberia will need to borrow capital. The question is from whom and under what conditions should it borrow. When and if the money comes, the other question would be: how well will it be managed? How much of it will go to the projects its intended for? How much will be siphoned into private accounts? Does the country have the capacity to avoid waste, theft, and mismanagement? The final question is whether the two projects will finish in time to create economic dividends to justify their costs. There are many questions, but one thing is certain, Liberia will have to borrow a lot of money to finance its development. Investors will not come if there is no infrastructure. Local markets will not develop if there is no infrastructure. Bilateral partners and traditional financial institutions will be of no help. So, borrow, Liberia will have to: but from whom and to what end and under what conditions are the questions.